I really don't care who wins the Oscars. Usually. This year, though, this year I really do have something to root for. Please, please, please, please, let the 3-6 Mafia win an Oscar. PLEASE. On this week's Sound of Young America broadcast, I'm going to have Andy Daly. Besides being the host of Comedy Central's "Crossballs," and being a former castmember of Mad TV, Andy is one of the funniest people I've ever seen improvise. More importantly, he's created "Mustache TV," which, he claims, is "The hip parlor game that's sweeping the nation!" Apparently it involves placing mustaches on your TV set, then getting points when they land on a face. Or, I guess, a face lands on them. Keak da Sneak and E-40 are the ultimate Bay Area New Sincerity rapper combination. This video for "Tell Me When To Go" is AWESOME. Wait until Bjork tours again, then follow her from city to city filming a documentary that chronicles her African-American fans around the world. I call it, Black Fans of Bjork. 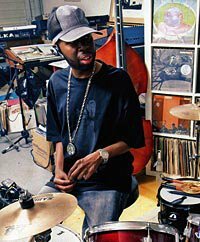 If you listen to the show, you heard me offer a brief memorial note for the late James Yancey, aka Jay Dee, aka Jay Dilla upon his passing. He was one of the greatest hip-hop producers ever, a revolutionary in the field. This article in the Detroit Free Press details his struggles with a rare blood disease, and later with lupus, which eventually claimed his life. 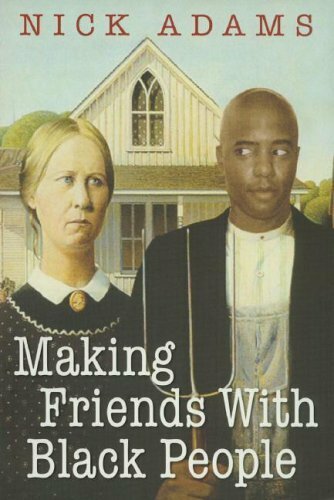 His friends from the hip-hop world supported him in his last days, and his mother took care of him to the end, massaging his fingers when they swelled painfully from beatmaking in his hospital bed. You can listen to NPR's rememberance of him here. Arrested Development is a wonderful, wonderful program. I hope it gets saved. Some lady from E! who's taken an interest says her source tells her it's 50/50.